Real Estate Investors of Virginia: Williamson Rd Area Business Association Pushes For A “Road Diet” Turning Williamson Into A 2 Lane Road & New Tax Potentially Coming For Landlords In That Area. 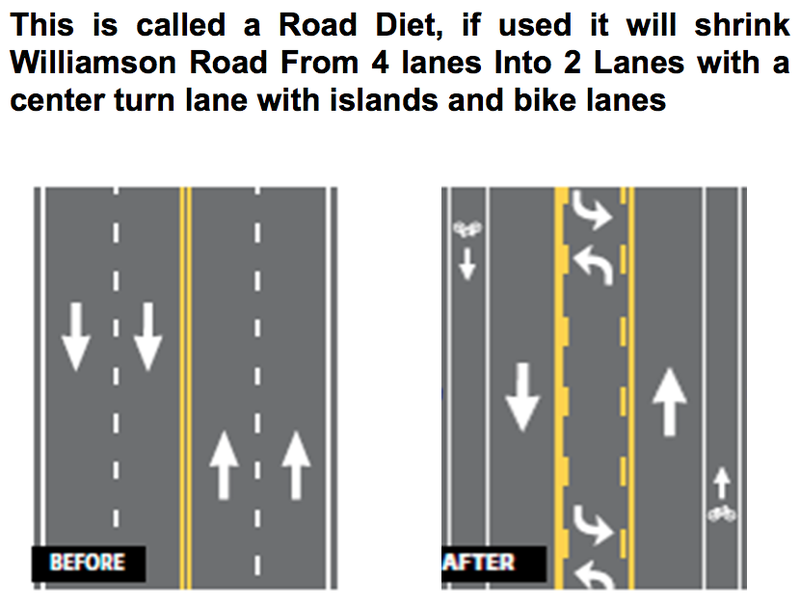 Williamson Rd Area Business Association Pushes For A “Road Diet” Turning Williamson Into A 2 Lane Road & New Tax Potentially Coming For Landlords In That Area. 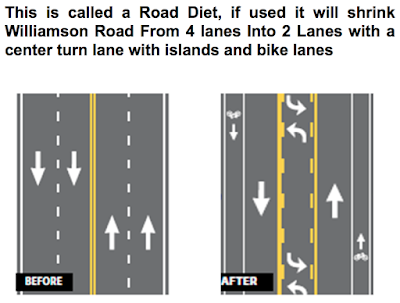 The Road Diet: The WRABA has been working with the city on a plan to somehow miraculously help business by turning this busy road into a one lane road on each side. They are especially interested in the area between Orange and Angel Avenue. The workshop included a field exercise where participants implemented a Road Diet on nearby Williamson Road. Mr. Mark Jamison, Manager of Transportation for the City of Roanoke, provided background and crash data for the location. Each group provided a reconfiguration of the roadway and were required to present and defend their plan. Overall, the workshop was a great success with many positive responses. WRABA says it is important to hear from you and have offered this contact info for your correspondence. wraba@wraba.org or via US Postal Service at WRABA, Williamson Rd Improvement Committee, P.O. Box 7082, Roanoke, VA 24019. It is important that people attend their meeting for support or opposition or they will proceed with their plan. Their meeting is January 17, 2017 at 1:30pm at the Holiday Inn off Hershberger Rd. New Taxes For Landlords In The WRABA Area: The Williamson Rd area has special zoning that they set up that includes several entire neighborhoods down Williamson Rd. This area is huge and is from Williamson Rd over to Plantation and down to Hollins. They have been allowed to charge a special tax to businesses in this zone. But WRABA decided to not stop there…. We have information that they now are waiving their finger in the air trying to find all landlords to include in this tax so they have more money for their business. You are a landlord therefore you are running a business and will be held liable for this tax by WRABA. Pure unadulterated greed!